With offices in Weatherford and Richland Hills, Texas, Dr. Charlton Woodly and Dr. Asia Jackson of Woodly Foot & Ankle are a podiatry specialists who treat conditions affecting the foot and ankle including sports injuries. Dr. Woodly and Dr. Jackson are both full-service podiatrists, trained to manage the traumatic injuries that haunt athletes. Since they specializes in both foot and ankle treatment, they sees many patients with sports-related injuries. What is considered a sports injury? The name says it all – any injury sustained while playing a sport, and the feet and ankles are prime injury sites for most athletics. The type sport doesn’t really matter. Patients who see Dr. Woodly engage in a wide range of sports, from football to bowling. Joggers and those who run as part of their sport tend to see him frequently. There are different types of sports injuries. Sprains and torn ligaments are common, but repetitive use injuries also come into play. For example, plantar fasciitis is an injury that often affects runners, but football and soccer players experience the injury, too. The repetitive pull on the plantar fascia takes its toll. The treatment options depend on several factors. The type of injury sustained is certainly at the top of the list. The care plan for plantar fasciitis won’t be exactly the same as one given to a patient with a torn Achilles tendon. The method and frequency of the injury are other variables, along with the initial first aid applied at the time of a sports injury. Dr. Woodly and his staff do a comprehensive medical history and exam before putting a care plan for a sports injury into action. The treatment protocols are always multifaceted. Dr. Woodly focuses on more than just treating one injury. He discusses recovery, lifestyle changes, and training options with his patients, as well. What if the injury requires surgery? 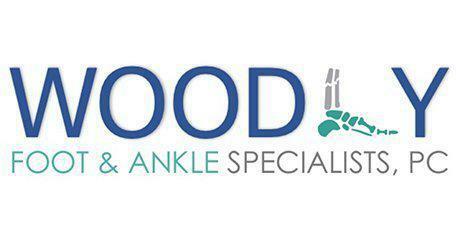 Dr. Woodly is trained to provide most medical care for sports injuries of the foot or ankle, including surgery. He may collaborate with another podiatry expert but will still manage your overall care. As part of your care plan, Dr. Woodly and Dr. Jackson educate you on preventing sports injuries. They look closely at how you train, what safety and training gear you choose, and discusses strength building and stretching protocols. closely at how you train, what safety and training gear you choose, and discusses strength building and stretching protocol.